Pennsylvania is no stranger to water and flooding, as we receive between 38 and 45 inches of rain per year on average. Unfortunately, the storms that hit the region starting on August 27th were more than we could handle – to say the least. 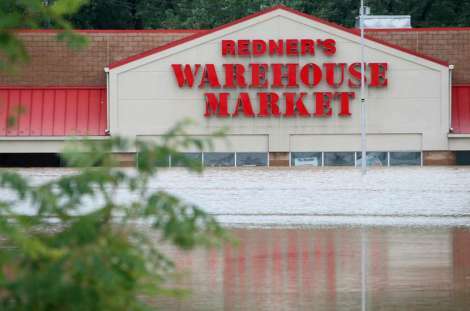 During this time Hurricane Irene and the remnants of Tropical Storm Lee burdened the eastern portion of the state with flooding at water levels that rivaled Hurricane Agnes (1972). While most residents hit hardest by flooding focused on protecting their families, homes, and livelihoods, others throughout the Commonwealth were also concerned about the impact that rising water levels could have on natural gas well pads. This is especially an issue for those sites operating in floodplains with open frac ponds. According to the reports we have been able to gather no shale gas well sites were compromised or sustained environmental damage in PA. Apparently, Marcellus Shale drillers were advised to prevent overflows from wastewater/’frac’ ponds by the governor, although due to a communication loophole it is unclear as to whether all of the relevant sites temporarily shut down during the inclement weather. Regardless, with the number of wells being drilled in PA especially in the northeast, being able to prevent any incidents during these storms is quite a feat on the part of the drillers and should be recognized as such. Industry reports also indicate that drilling companies provided financial contributions, expertise, equipment, work hours, and supplies to aid in the flood relief efforts. Learn more about these contributions here. We ask that if you have any knowledge that contradicts this information, please let us know and contact your local representative to report the incident.